Bloodlust by Body Count: I never listened back in the day, when it seemed like just Ice-T yelling (it wasn’t a scream, it was a yell) “Cop killer” over distorted guitar. I got it, but I didn’t need it. Bloodlust is actually essential, and the yell is the perfect accompaniment. The riffs are hooky, the message is blunt and brutal, and it ends in a little over 30 minutes, so you can’t even say it’s preachy. Those guys take at least an hour. 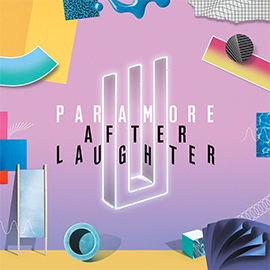 After Laughter by Paramore: 4 years again, but who’s counting? Paramore double back on their fury for a record that is restrained and wounded, the guitar attack thinned out to retro plucks, influence and reference points vary. Despite the restraint and the defeated lyrics Paramore gonna Paramore, and the album is largely platinum hooks and that trademark enthusiasm, tamped down but still present. 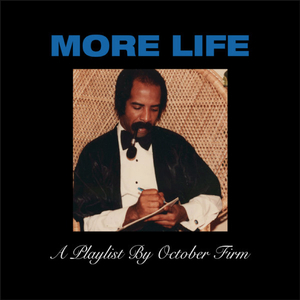 More Life by Drake: These things are going to just keep getting longer, aren’t they? More vibrant than Views but just as indulgent. “Passionfruit” is good, but other than that it just evaporates. Heartworms by The Shins: James Mercer does one thing well. He does not do that one thing anymore. Suicide Silence by Suicide Silence: Alienation never sounded so hesitant. Near To The Wild Heart Of Life by Japandroids: I like that after 5 years and breathless anticipation they just made another Japandroids album. Playing to the cheap seats and the casual fandom a bit, but that never hurt anyone. Everyone needs a grower, this fits the bill. Now just hope they don’t become The Black Keys. Hot Thoughts by Spoon: Like their last one, pretty good, really good, good, last song is ok, see you in a couple years. Easy to take for granted when it doesn’t seem like they think it’s that hard. Strangers Only by My Ticket Home: Call it nu-metal, call it puke rock, call it whatever your heart desires. If the riffs are resplendent and the hooks shouted into the sky, I will call it great. unReal by My Ticket Home: I didn’t think it was possible for someone to overrate the mid 90’s more than me. Crooked Teeth by Papa Roach: Never count out the lifers who might just surprise you with 10 or so hot rockers of sturdy riffs and passionate vocals with nice hooks and a half hour to get it done. This entry was posted on October 25, 2017 at 11:14 pm and is filed under Music...Music, Reviews. You can follow any responses to this entry through the RSS 2.0 feed. You can leave a response, or trackback from your own site.